Tennessee has hardly been an explosive group on this side of the ball, having scored 17 or fewer points in six of its 11 games to date, and a once-formidable ground game that’s been conspicuously absent for the majority of this season helps explain that overall mediocrity. 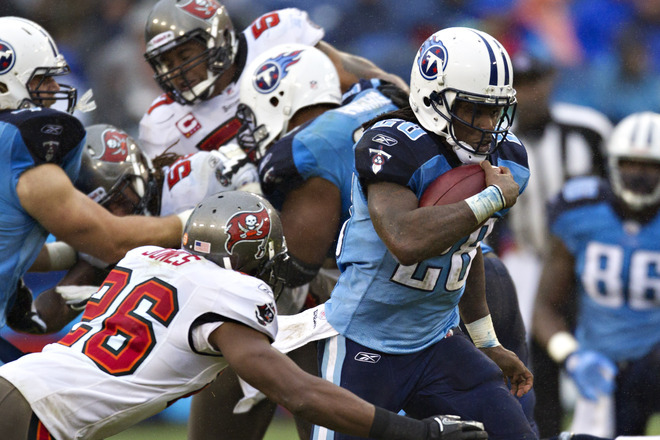 The Titans had the long-awaited breakout they’ve been seeking in that department during last week’s big win, however, with underperforming running back Chris Johnson (699 rushing yards, 2 TD, 39 receptions) gashing the Buccaneers for 190 yards on 23 carries for the three- time Pro Bowler’s second 100-yard output in three weeks. Tennessee still ranks only 30th in rushing offense (88.6 ypg) despite piling up 202 yards on the ground against Tampa Bay, while Johnson’s 3.8 yards-per-carry average is easily the lowest of his four-year career. The Titans have been able to get by due to some solid work from veteran quarterback Matt Hasselbeck (2517 passing yards, 15 TD, 10 INT), who’s completing nearly 61 percent of his throws in his first season with the club, as well as a cohesive front line that’s allowed only 16 sacks thus far. Seventh-year pro Nate Washington (49 receptions, 4 TD) has emerged as a dependable but unspectacular No. 1 wide receiver in the absence of injured playmaker Kenny Britt, with youngsters Damian Williams (27 receptions, 5 TD) and Lavelle Hawkins (29 receptions) having held their own after being called upon for increased roles. Williams has a touchdown catch in three of the last four games, while Hawkins contributed 51 yards on five grabs to last week’s win. Neither Johnson nor Hasselbeck may encounter a whole lot of resistance from a Buffalo defense that’s allowed 130.5 rushing yards per game during the current losing streak and stands near the bottom of the NFL with 16 sacks in 2011. Season-ending injuries to such key members as defensive tackle Kyle Williams, outside linebacker Shawne Merriman and cornerback Terrence McGee have tested the unit’s depth, while valued safety George Wilson (79 tackles, 4 INT) is in danger of missing a third straight week because of a neck stinger. A secondary that’s now starting two rookies — cornerback Aaron Williams (14 tackles) and stand-in safety Da’Norris Searcy (21 tackles, 1 INT) — and has surrendered 10 touchdown passes over the past three games has missed his presence, and the Bills have only forced six turnovers in six tests after coming up with an impressive 16 takeaways during their 4-1 start. There have been a few bright spots, however, as rookie tackle Marcell Dareus (29 tackles, 4.5 sacks) has made the immediate impact the team expected from the third overall draft choice and veteran Nick Barnett (86 tackles, 2 sacks, 2 INT) has brought experienced leadership to the linebacker corps. Buffalo’s offensive performance against the Jets last week was a bit of a mixed bag. Fitzpatrick (2549 passing yards, 19 TD, 14 INT) was able to bounce back strongly from a three-game slump in which the well-traveled quarterback threw seven interceptions and hit on just 54.4 percent of his attempts, but the Bills were held under 90 yards rushing for the second straight time and have had trouble finding a suitable replacement for top running back Fred Jackson, who suffered a season-ending broken leg in the Week 11 loss to Miami. 2010 first- round selection C.J. Spiller managed a pedestrian 55 yards on 18 totes as the lead ball-carrier against the Jets and could soon find himself in a timeshare with Cowboys and Redskins reject Tashard Choice (67 rushing yards, 11 receptions), a recent waiver claim. A receiver group headed by the flashy Stevie Johnson (54 receptions, 5 TD) and slot specialist David Nelson (45 receptions, 5 TD) has been serviceable, while journeyman tight end Scott Chandler (32 receptions, 6 TD) has developed into a capable red-zone option and has compiled 11 catches for 121 yards over the past two weeks. Johnson came through with eight receptions totaling 75 yards and a score against the Jets’ stout secondary a week ago, but also had a costly drop of a potential touchdown pass in the fourth quarter. A bend-but-don’t-break philosophy has served the Titans fairly well on defense, as coordinator Jerry Gray’s crew has limited the opposition to a scant 6.5 yards per pass attempt (5th overall) and an average of 19.6 points per game (7th overall) over the season’s initial three months. 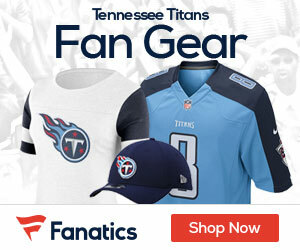 The sound play of cornerbacks Cortland Finnegan (47 tackles, 1 sack, 1 INT), Jason McCourty (85 tackles, 1 sack, 2 INT) and Alterraun Verner (27 tackles, 1 INT) has helped Tennessee deliver those solid overall numbers, as has the quick learning curve of three rookies — linebackers Colin McCarthy (33 tackles, 1 INT) and Akeem Ayers (49 tackles, 2 sacks) and tackle Jurrell Casey (35 tackles, 1 sack) — that are now holding down starting assignments. McCarthy, a fourth-round find in this past draft, has amassed 20 tackles, one interception and a forced fumble in two starts in place of veteran middle linebacker Barrett Ruud, who’s presently sidelined with a groin injury. The Titans can still be vulnerable to strong running attacks, having surrendered 144.9 rushing yards over their last seven games, and there’s not a standout pass rusher on the roster, though end Dave Ball (22 tackles, 3 sacks) notched two sacks last week in his first game back from a concussion that forced him out of the previous two contests. Chris Johnson. Though the dynamic running back’s production has been maddeningly sporadic since signing a huge contract prior to the start of the season, it’s been evident that the Titans are a tough team to face when he’s been a factor. Tennessee is 3-0 when the speedster has eclipsed 100 rushing yards during a feast-or-famine campaign, but he’s averaged a meager 34 yards and 2.9 yards per carry in the club’s five losses. Turnovers. It’s no coincidence that the Bills’ fortunes reversed once their previously-opportunistic defense stopped making plays and Fitzpatrick became more careless with the football. Buffalo has a plus-nine takeaway-to-giveaway ratio in its five victories and is minus-five in that category in their six defeats. With all the injuries the team is enduring, it’s absolutely critical that it wins the turnover battle on Sunday in order to stop its streak. Red-zone performance. The Titans have been the league’s best offense inside the enemy’s 20-yard line, scoring touchdowns on an outstanding 70.8 percent of possessions this year. That trend could very well continue for another week, as Buffalo sits 31st overall in red-zone defense and hasn’t prevented the opposition from crossing the goal line in eight drives in that area over its last two losses.